Traveling around the world sounds (and actually it is) a lot of fun. We are going to discover new attractions, foods, people, and more importantly tasting places. But before we are going on your new adventure, we will have to get a lot of stuff prepared to accommodate the journey until we are back at home, including installing mobile apps. These mobile apps will help in many ways such as planning on route, finding deals of hotels and flights rate, car rentals or taxi, and places and foods. 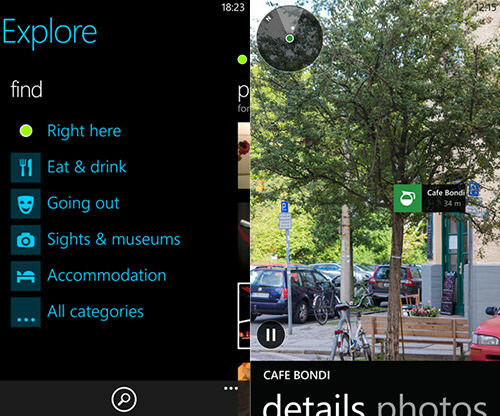 If you are an avid travelers and a Windows Phone users, following are several essential apps to install before you go. The first thing you would probably need to do once you arrived at the city or country you are visiting is finding a hotel to stay the nights. 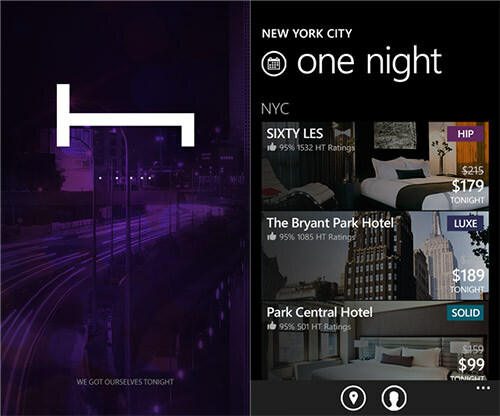 Hotels Tonight is an app that will help you find the best hotel rates and makes booking a room easy. This app hand-picked and the list to include only the best hotel to stay. Even more, you can find others customers review and ratings to help on your selection. Note: Hotel Tonight currently works in this cities: . But the list is growing. 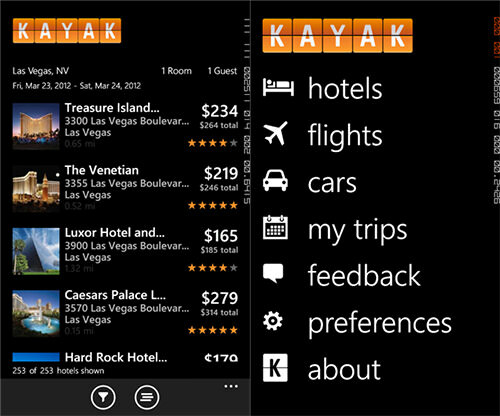 One of the most popular sites for travel, Kayak, has finally come to Windows Phone with official solution. It brings all the features of the website on your hand. Through the app you can plan your destination, find the best flight rate, as well as book the hotel room of the destination. Uber brings new experience in car rental. 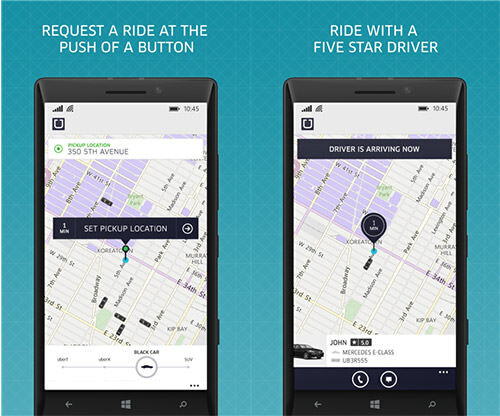 Uber allows you to request a ride or get picked-up. You can select various of vehicles from an SUV to an exclusive Mercedes Benz. Tap, get picked up in minutes, and pay the rate through your mobile phone. No whistling, no waving, no cash needed . Note: Uber currently works in selected countries. So, check whether you travel destination has been covered. In case Uber does not cover the city of your destination, you can get picked-up with Taxi instead. You can use this app, Easy Taxi, to easily find and reserve taxi near you location and get picked-up in minutes. 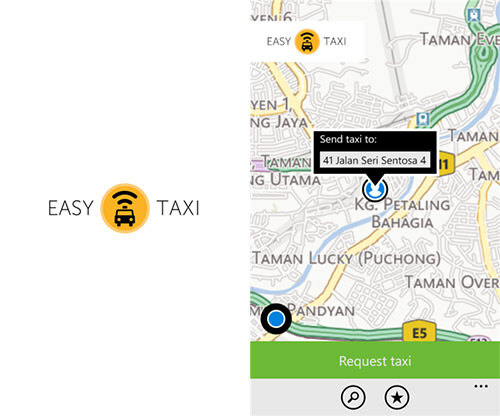 EasyTaxi works in a number of countries in South East Asia. One of the common problems when you are traveling in a foreign country is the language you don’t speak. 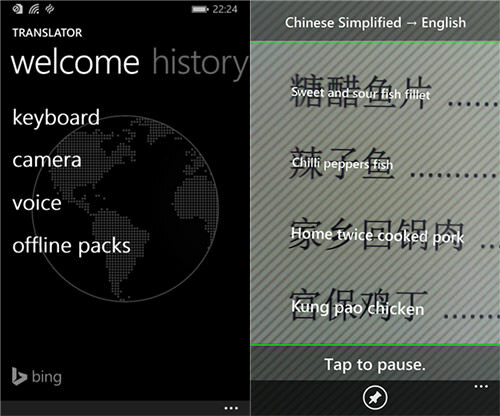 So, have Bing Translator installed in your Windows Phone. In the case like, you should install Microsoft very own app, Bing Translator. Bing Translator is able to translate both text and voice. It is also equipped with a special lens which you can use to translate directly through camera (see the screenshot below). Let’s not forget about the best part of traveling. Whenever possible, I recommend to always try new taste and authentic food of new places you are visiting. Zomato is the app you should install on that regard. 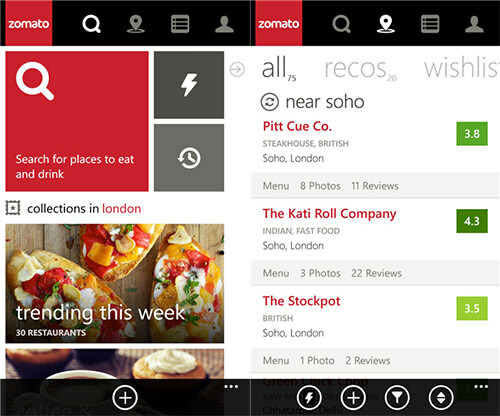 Zomato will give you recommendation of the restaurant as well as menu in the city. Note: Zomato currently only works in the selected countries. Here Explore helps you discover new places to stay, eat, and hangout. Launch the app, and the app will show a number of places around your current location in a floating sign as you are walking around. You can save the places you like within your Favourite box or else share them with friends through social sites. Note: the app currently only works in US, UK, Canada, Germany, Austria, and France. 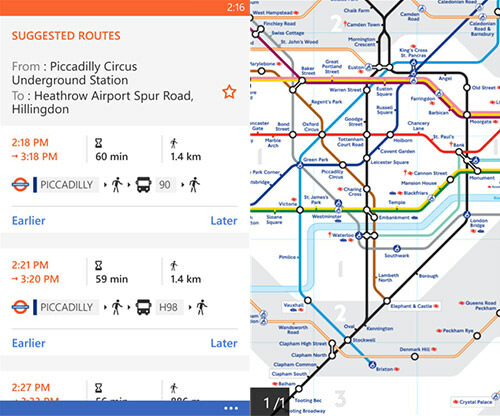 Moovit is an app that will help you for traveling with bus or train. 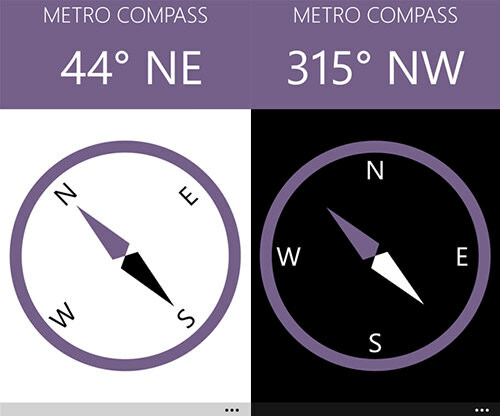 The app supports hundreds of metro and stations in many cities worldwide. Through the app, you can check the route map, arrival schedule, and discover the fastest route to take. This is app can be very helpful in many situations. Just tap and the app will show your location which then you can share to your friends or families that you have arrived safely to your destination. Or else, in case you are traveling with friends and accidentally seperated, use this app to tell them your location. Traveling abroad means that you will likely have to exchange your money to local currency. 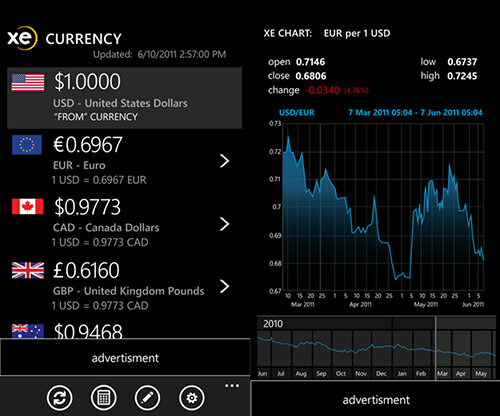 Use this app to check the current exchange of any currency worldwide. Before the GPS, people use stars and compass as their guide on traveling. 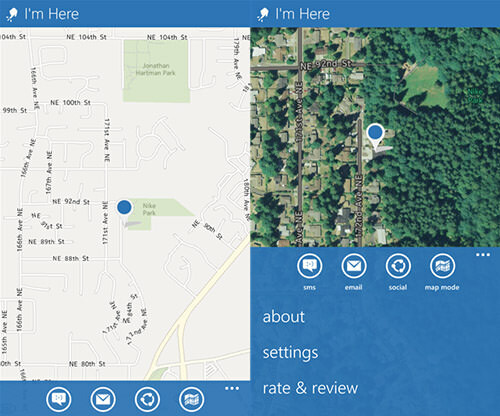 If you are an adventurer who like to explore forest, jungle, mountains, or places beyond the reach of the Internet, you can install this app to add compass ability to your Windows Phone. Prayer time for Muslim would be different from each countries, particularly of which far above or below the equator line. The prayer time for Muslim is calculated against the Sun position. 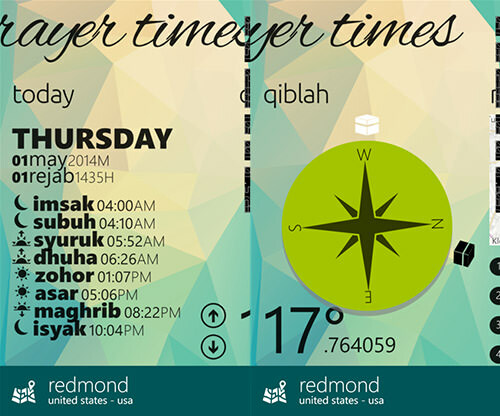 Use this app to easily figure out the prayer time when you are traveling far to different countries.